The basic rule of travel policies is: Keep it simple! My latest SOP video addresses out of town travel. For most of us, out of town travel is a quick day trip. From time to time we also have longer, overnight travel. For all travel, you need a consistent policy about mileage, meals, and public transit. There are some guidelines from the IRS (or whatever tax agency you report to). Start with those as a good guideline. For overnight travel, things are just a little more complicated. You need to have a policy that includes air travel, car rentals, hotels, and the "class" acceptable for each of these. We encourage basic comfort. If employees want something more luxurious, we let them take care of that. We also let employees keep the reward points for any of this. Whatever you do for your travel policies, you should remember to keep it simple - and do it consistently! Cash flow is not complicated - bit it is important! My latest SOP video is about Cash Flow. What's that? Well, it's simply the name we give to money flowing into and out of your company. How do you get ahead of the cash flow crunch? The first step is to look at your cash flow at least once a month. From there, you can move up to once per week and eventually once per day. If you get cash flow "right" you get to take money out of your business and put it in your pocket. If you get it "wrong" then you take money out of your pocket and put it in your business. But, really, most people don't unused money lying around. So they end up taking money from a credit card or line of credit. If you do that again and again, you'll eventually go deeper and deeper into debt. A few key changes can make all the difference. For more articles I've written on cash flow, enter the term "Cash flow" into the search on my blog. 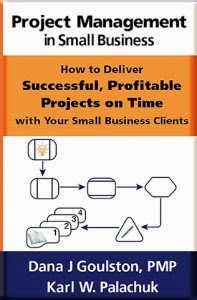 The latest audio book from Small Biz Thoughts! Available exclusively at SMB Books. As I mentioned awhile back, I have been living and operating my businesses on debit cards/cash for more than eight years. In that time I have put only about $5,000 on credit cards (and paid it off). It might have been a bit above that, but it certainly wasn't $10,000. As with most things in life and business, people tend not to challenge common wisdom. 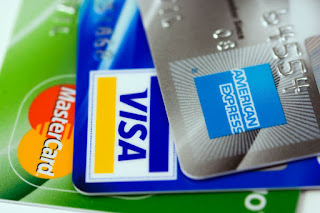 One very dangerous piece of common wisdom is that you have to use credit. Another is that you have to give credit to your clients. Neither of these is true. By "credit" I mean loans or terms of any kind. This includes a business line of credit, credit cards, car loans, home loans, etc. In other words, it's a losing proposition. Most people would argue that you need to have a home loan, so they exclude that from their equations. And most also give themselves a pass on a car loan. In a perfect world, you would only pay interest on money if you are investing in something that goes UP in value. So investing in your home would be allowed, but buying a car would not. Again, many people give themselves an exception for the car because it's such a large purchase. I buy a car every ten years and make payments for less than half that time. The reason I do this is that I can grow $15,000 or $20,000 in investments faster than the 3.5% rate I'm paying to borrow that money. So while I could pay cash for my car, I'd rather make payments and keep that money growing at 5-10% per year. That's just me. If you can't guarantee that you can do this, I recommend you buy your car with cash.
. . . is that most people are tempted to use these to support their bad cash flow habits. In other words, they're a bit short on cash, so they put an expense on a credit card. Then they pay off MOST of it - but not all of it. This happens over and over. As a result, they are slowly digging themselves (painlessly) into debt. And most people in this position don't have nice credit cards at 12%. No, they have 25% or event 35% credit cards. Put five thousand on that and you'll probably never pay it off! Unless you do something even more dangerous: Take out a mortgage on your house and use that to pay the credit cards. Now you don't own as much of your house, you've turned monthly debt into 30 year debt, and you probably haven't learned that you can't keep doing this. So you start over with those nice zero-balance credit cards again. Now let's look at the alternative: Only pay with debit cards. There are lots of advantages here. The biggest one: You can't buy anything you can't afford. In this case, "afford" means you have the money. Period. You want to buy new furniture for the office? Fine. You wait until you have the money. You delay gratification. You set aside money. You keep track of your progress. You cut in other places. You decide whether this is more important than that. You plan ahead and align your spending with your priorities. Those are all great skills that will serve you well in your personal life as well as business. For another example, see my blog post on the weekly cash flow procedure. I look at cash flow almost every day. I don't write checks or put things on the debit card unless the money is actually in the bank. When I screw up, the bank charges me an overdraft fee. That's not a good thing, so I do whatever it takes to make sure it doesn't happen. When you get good at this, you will always have a cushion in place. My preference is always to have enough money to pay all bills and the next payroll. I want that amount in the bank at all times - even if I just paid payroll. Let's say your bills plus payroll come out to $25,000 every two weeks, more or less. Your first goal is to make sure your bank account is never below zero. The next goal is to have that $25,000 available in case you need it. It doesn't have to live in your checking account at zero percent interest. You can put it into an investment account with checking privileges. But it should only be in super-safe investments because you might actually need that money. Whatever your number is ($10,000 or $25K or $100K), don't freak out about setting that money aside. The truth is, you are somehow coming up with that money every month right now. But if you're in the "scratching to get by" category, you're probably coming up with it at the last minute. Turn that around with good habits. It's an amazing feeling to have that money available and to worry about keeping that balance available instead of worrying about being above zero. Back in March I wrote about cash flow and said "If your business needs periodic influxes of cash, you have a bad business model." Read that article if you haven't already. The main point is that you have to stop creating more debt! Only then can you turn it around and start saving more money. How Do You Get to the Point Where You Live Off Cash? This is surprisingly simple. That doesn't mean it's easy - but it is simple. First, Put your credit cards in a filing cabinet and don't keep them in your wallet. Second, start paying attention to cash flow. Third, pay for things when you have the money. Note: This might mean making some late payments and having some difficult discussions. There will be some pain. In my opinion, payroll is the highest priority. I use a payroll service, so I need to come up with payments for checks plus payments for taxes. If you can't afford the taxes, do not run payroll! Anyway, since that's first priority, everything else comes after that. This is important because it gives you perspective. Rent is second. The electrical bill is second. Gas and phones and internet connectivity are second. Everything is second to payroll. When you start looking at cash flow this way, you begin to make some difficult decisions. You can't pay rent unless you have enough cash for payroll plus rent. The same is true with all those other expenses. You begin to make choices about what you'll pay and when. As I mentioned above, you've been juggling these and paying them every month already. So the move to paying based on actual cash in the bank is a short-term project. It will probably take you one or two months before you are able to pay everything on time with cash from your bank account. Maybe three. You will also find it very easy to say No to new furniture if it cripples your ability to pay the electric bill and Internet. Suddenly it makes sense to stick with the old furniture for another month. 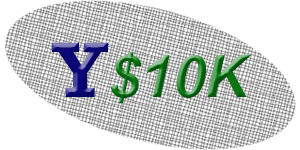 Check out the last Y$10K post on entering your scheduled monthly payments in Quickbooks (MAXFocus, JungleDisk, Intermedia, etc.). Eventually, you'll get used to having money in the bank for travel expenses, food, office supplies, etc. The debit card has a VISA or MasterCard symbol, so it's taken everywhere. The transition won't be painless - but it's not supposed to be. But it will be healthy. When you only pay for what you can really afford (with cash), you'll buy a little less and spend a little more strategically. You'll learn to delay gratification. And more than anything else, you'll think about your money more. So when it starts to grow, you'll notice it! My friend Ted over at eFolder slipped this memo through the transom this morning. EFolder has announced a new BDR appliance. This comes less then two weeks after eFolder announced the acquisition of Replibit. Atlanta, GA – June 13, 2016 – eFolder, a leading supplier of business continuity services for the IT channel, today announced the launch of the eFolder Replibit BDR Appliance product family. Replibit BDR Appliances are local BDR appliances, featuring eFolder FastFlashTM and DuraBitTM SSD storage technologies, and the patented Replibit Appliance software. Replibit BDR Appliances are the industry’s first all-SSD BDR appliance product line from a major business continuity vendor. With a next-gen, all-SSD architecture, Replibit appliances deliver fast and reliable on-site system recovery for virtually any sized client environment. The FastFlash SSD architecture delivers industry leading IOPS and a 50x speed advantage during system recoveries vs legacy BDR appliances. Fast and reliable system recoveries help MSPs keep their most important promises. With three models to choose from, MSPs can standardize on Replibit and deliver a fast, reliable, and complete business continuity service. Replibit BDR Appliances complement the other components needed for an end-to-end business continuity solution, including the Replibit Agent for local server and workstation backup, Replibit Vault for cloud backup and recovery, and the Replibit Management Portal for global cloud management of field deployed Replibit BDR Appliances and Vaults. The Replibit BDR Appliance family includes the small form factor, yet fully featured, Replibit Mini for small business deployments, the Replibit Pro for medium-sized or growing clients, and the Replibit Rack model for larger, sophisticated clients or private cloud, multi-tenant vaulting applications. The flagship Replibit Mini packs 1TB or 2 TB of usable FastFlash storage, a 4-core Skylake i5 processor, and 16 GB or 32 GB of RAM into a tiny 8”x8”x2.5” form factor, while using less than 20W of power, at jaw dropping prices. The Pro unit starts at 3TB of all-flash storage and is field expandable up to 15TB, and includes an 8-core Xeon processor, 128 GB of RAM, and dual 10G networking. The 2U Rack is identical to the Pro but can be expanded up to 18TB of usable storage. All models deliver the full feature set of the patented Replibit software, including Chain-free BackupsTM, instant local virtualization, and automated screenshot verification with filesystem integrity checking. “We’re excited to be launching the world’s smallest and fastest BDR appliance,” says Kevin Hoffman, chief executive officer at eFolder. “We’ve tightly integrated Replibit’s patented software with a custom-built, next-gen, all-SSD BDR platform featuring eFolder’s new FastFlash and DuraBit technologies, delivering unsurpassed speed and reliability during on-site system recoveries. Flash has recently hit a price and density inflection point where, when combined with eFolder’s proprietary technologies, can deliver the speed, power, and reliability of enterprise all-flash storage but amazingly at a lower price than legacy BDR solutions that feature slow, nearline storage. eFolder Replibit BDR Appliances will be ready for order on July 18, 2016 and begin shipping on August 1, 2016. On June 1, 2016, eFolder announced the acquisition of Replibit, a fast growing developer of next-generation backup and disaster software for MSPs. eFolder is a leading supplier of cloud business continuity, cloud file sync, and cloud to cloud backup solutions for MSPs, cloud service providers, system integrators, and VARs. Delivered as wholesale services to the channel, eFolder enables its partners to provide branded business continuity, file sync, and cloud to cloud backup services and to generate highly profitable, recurring revenue. eFolder services complement many of the managed service offerings already deployed by partners and integrate with common PSA systems, making adoption of eFolder services fast and easy. eFolder also empowers cost-effective partner and end-user private clouds, allowing partners to meet the needs of any client, regardless of size or readiness to engage in public cloud services. eFolder is a privately held company and is headquartered in Atlanta, GA. The latest SOP video is on Vendor Management. What's a vendor? Well that's anyone who serves your customers. It includes hardware, software, and service providers such as HP, Cisco, Microsoft, Adobe, or Intermedia. Some of these will represent products you sold the clients. But it also includes things they bought on their own, such as a line of business application. Vendor management means you take care of the relationship between your client and those vendors. It includes registering hardware, software, and services in a way that allows you to provide excellent service. It also means you do all the talking. In other words, you translate from client (business talk) to vendor (tech talk). That's true during technical support, but it's also handy when discussing upgrades and choosing new products. Perhaps the most important thing you can do with vendor products and services is to document them properly. I don't mean to provide alternative instructions (although that's useful), but to document where the code is stored, how it's registered, where services are located, passwords, and client-specific configuration information. The video includes more tips as well. View it. Like it. Share it. Now, after extensive research, I'm happy to produce a new book that outlines every known exception to that rule. It's called Success That Happened without Any Effort. It is available today at SMB Books. Soon it will also be available on Amazon.com. PLUS this bonus: Your order includes a FREE download of the audio book! A great gag gift for family members, business associates, and anyone who thinks that "success" comes easy. This is a gag gift filled with completely BLANK pages. A great book to keep on your coffee table for guests. Excellent conversation starter. Assuming your friends have a sense of humor, this makes a great gift. 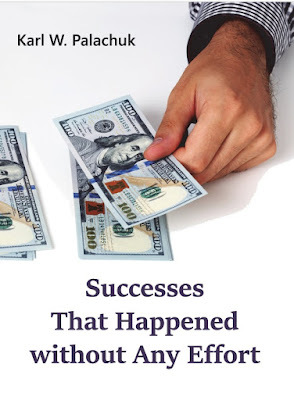 This thoroughly researched book contains detailed information about the real world of "easy success." Includes detailed case studies of every known example of successes that happened without any effort whatsoever. This is a 100 page book consisting of scary copyright warnings, followed by blank pages. There is one page for your personal notes at the end. And here's the biggest bonus of all . . . If you order the PDF or Audio version of this book before June 15, 2016 you will receive BOTH for FREE with the coupon code FreeBlankBook. So why not join in the fun? 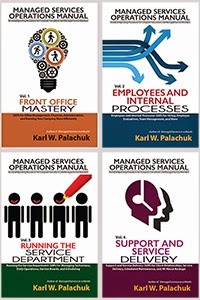 Go right now to SMBBooks.com and order your free book today! I don't want anyone to be insulted here . 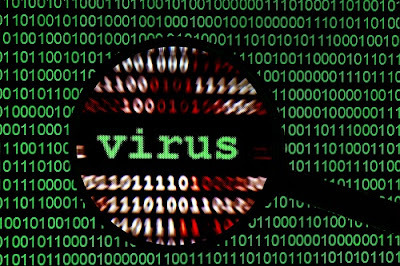 . . but I question a lot of what I've heard about crypto-viruses and other viruses going around. The Myth: You can get Crypto-locker or other crypto-viruses from just visiting a web site. The Other Myth: You can get these viruses even if you are running without Administrative Privileges. I never operate my computers with administrative privileges. Neither do my clients. We don't get viruses because these kinds of viruses have to have elevated privileges. That means, if you don't put in an administrative username and password and elevate your privileges, you can't install a program. Post a link here that I can click on. Post a web site I can browse to and magically infect my machine. I'm backed up. I have images. I'm willing to rebuild. I've had several conversations with people that lead me to believe that they believe these myths and they operate their computers with admin rights. I know this because they say things that make it clear they don't know the line between what you need these rights for and what you don't need these rights for. Here's the deal with security: It can be a pain in the neck. It doesn't have to be. UAC - User Access Control - should be enabled at all times for all users. I can see an exception for the actual administrator on the server. But I also assume you're going to be careful and thoughtful. All users - including the network administrator - should operate without administrative rights at all times. When asked to elevate your privileges, slow down and think about it. Why did this pop up and do I really need it? Users can be given access to a text file in a secure area on the server with an administrative logon and password so they can elevate privileges when absolutely necessary. How do you know if you have administrative rights? That's easy: Click on an installation program of any kind. You won't be able to install a program if you do not have admin rights. Period. That includes programs we call "viruses." I highly recommend that you craft an actual policy for assigning rights within your own company and within your clients. A great place to start your education is here: https://technet.microsoft.com/en-us/library/mt620094.aspx. Why Do People Think They Need Admin Privileges? Again, we get back to spreading myths. Many people think you need admin rights to install printers. Not true. If you (the administrator) installed the correct drivers when a machine was set up, then any user without admin rights can set up a printer ("install" a printer). No additional code is being installed because the drivers are already there. Some people say they need to make basic changes like setting the time zone. I'm sorry. Why do you need to change the time zone? If a client needs that for whatever reason, they can enter a service request. Some programs won't run without Admin Rights. This is rarely true. One of the oldest myths in the I.T. business is based on false logic. - Running as the administrator solves my problem. - Therefore I have to run as the administrator to solve my problem. These programs are trying to do a specific thing, such as write to a secure area. In most cases, this is going to be the registry or an administrative area of the hard drive. You can solve your problem by adjusting that user's rights without giving them the ability to install executable code. But to do that you have to do some research and you have to test. And you have to not be lazy. The bane of our existence is old Line of Business applications that run as administrator on the server because sloppy, lazy programmers were not willing to define exactly which rights were needed and limit their code to those specific functions. So we "solve" the problem with administrative rights. The old friendly days of the Internet (and Windows) are gone. You can't be lazy any more. You need to educate yourself and define safe procedures that are in your client's best interest. This might cost them a little money. But they won't have the expense from downtime because of encrypted files. Alright, all you people who visit magical web sites where your computer is suddenly stricken with viruses: Prove it. Post the URL of the web site, blog, link, etc. For those who argue that there are new, evil viruses that can install themselves without administrative privileges: Prove it. Post a link to such a virus. And if I'm wrong - I'll report exactly what happened. Then I'll rebuild that machine and do it again to verify exactly how the bad guys were successful. Disclaimer: I am going to browse and click on everything entered in the comments here. I am responsible for the damage done to my own machine. I am not responsible for the damage you do to your machine! If you do not have an absolutely secure computer, do not click or browse anything posted here. If you do not master an understanding of your computer's security, do not click or browse anything posted here. Update July 8th: Please watch the sample presentation I give to clients regarding safe computing, viruses, and why they can't have administrative rights. Like it and share it if you like it. Includes link to download the presentation so you can make this presentation to your clients. I had a great conversation with Alistair Forbes, the new Managing Director of SolarWinds MSP (formerly the General Manager at LogicNow). The recorded podcast is at SMB Community Podcast. In case you missed the news yesterday, SolarWinds MSP bought LogicNow. 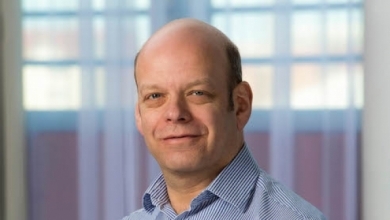 LogicNow CEO Walter Scott now becomes the Executive Vice President of Solarwinds MSP. And Dave Sobel retains his title as Senior Director of Partner Community and Field Marketing. I exchanged a few emails with Dave as he's traveling in Portugal right now. He is very excited and positive about the changes ahead. Change brings uncertainty, and I've received lots of emails and requests for information about this merger. So I asked Alistair to join me for a quick conversation to answer the big questions. This interview is about 15 minutes. The new SolarWinds MSP now boasts 20,000 partners, 15,000 of which came over from LogicNow. One of the early questions is, what happens to each of the RMM platforms. The immediate answer is that both platforms will be supported going ahead. The old N-Able platform is an on-premise solution while the former LogicNow platform is cloud based. Alistair is clear that both platforms will be supported for the foreseeable future. Long-long-term, of course, it makes sense to figure out how to merge the platforms, but that's certainly not something that will happen immediately. One big factor is that the average SolarWinds partner is much larger, with a big emphasis on large enterprises. So we talked a bit about how that affects the RMM platforms as well as related technologies (security products, RMM, patch management, data analytics, etc.). Last year LogicNow introduced the first Big Data product - LogicCards - into the MSP space. Adding a huge number of larger MSPs into this data collection will open up all kinds of new opportunities. The really cool component is that this data is not just about the MSPs themselves, but also their millions of clients and managed endpoints. We also touched on the philosophy of partner education, which has been strong in both SolarWinds/N-Able and LogicNow companies. So continued investments in education will certainly play a large role going forward. On a related topic, both companies also share a commitment to building a true community where partners enjoy open communication with SolarWinds MSP and with each other. As always, I am impressed with the LogicNow team's openness and willingness to directly answer the major questions being asked online and in the forums. It's a period major change, so there's some natural "fear uncertainty and doubt." But it looks like a great move in the right direction for LogicNow partners. Everything will come more clearly into focus in the months ahead. For now it looks like partners can expect stability and business as usual until the new partners develop a next-generation roadmap for the future. Please take a minute and look at my my Relax Focus Succeed® class at GreatLittleSeminar.com. Well here's a big of exciting news. Just received this email . . . and the world keeps turning . . .
We have some exciting news to share with you. Through an acquisition by SolarWinds, LOGICnow has joined forces with SolarWinds N-able to create SolarWinds MSP. This joining of these teams gives the company unequalled experience and expertise in the Managed Services market for small and medium-sized businesses. With the creation of SolarWinds MSP, SolarWinds is uniting two complementary leading players in the managed services solutions market to deliver the strongest and most complete portfolio of capabilities to MSPs of every scale and size worldwide. Your relationship with us is our most important focus and concern, and while you may expect me to say there will be “no impact to you” as a result of this change, the truth is, you are going to be empowered like never before to succeed. As a former LOGICnow customer, you will be able to immediately derive benefits from an even greater depth and breadth of products that will help you build the most successful business possible. Please do be assured that there will be no immediate changes to support or billing and in the coming months you will learn more and more about how SolarWinds MSP can help you and your business. In the meantime, please feel free to reach out to me or any member of the SolarWinds MSP team with any questions. I’m so excited to be able to officially welcome you to the SolarWinds MSP family. My buddy Ted over at eFolder sent me a press release. eFolder is "acquiring" Replibit. And the world keeps spinning! Atlanta, GA – June 1, 2016 – eFolder, a leading supplier of business continuity services for the IT channel today announced the acquisition of Replibit, a fast growing developer of next-generation backup and disaster software for MSPs. The Replibit MSP Platform is an end-to-end business continuity software platform, empowering MSPs to deliver profitable backup and disaster recovery solutions. The Replibit MSP Platform is the most flexible solution on the market and contains all the critical software components needed for MSP deployment, including the Replibit Agent for local server and workstation backup, Replibit Appliance for local storage and on-site virtualization, Replibit Vault for private cloud backup and cloud recovery, and the Replibit Management Portal for global management of field deployed Replibit Appliances and Vaults. Replibit delivers MSPs new levels of reliability with its unique, chain-free backup technology and incorporates other critical automation features, which lower labor costs for MSPs. Replibit allows any local or replicated recovery point to be virtualized within seconds with the click of a button, delivering exceptionally fast recovery from downtime-causing events. 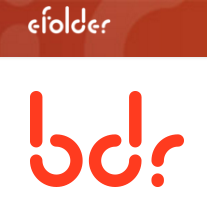 With this acquisition, eFolder now owns its own backup and disaster recovery (BDR) software IP platform, from endpoint to cloud. Replibit also brings eFolder a robust patent portfolio for BDR applications. When combined with the scale and capacity of the eFolder Cloud, eFolder Replibit is now the fast, reliable, and complete business continuity solution designed for MSPs. While Replibit will assume a leading position in the eFolder portfolio, the company will continue to serve the MSP space with the company’s open BDR ecosystem strategy, where eFolder delivers turn-key BDR cloud services integrated with the most popular products for image-based backup in the MSP channel. This unique ecosystem strategy allows eFolder’s MSP partners to choose the solution that best meets the needs of each client while working with a single vendor for cloud-based disaster recovery, cloud management, and technical support. eFolder remains committed long-term to its strategic vendor partners and will continue to market, develop, and supply MSPs with eFolder BDR for ShadowProtect, BDR for Veeam, BDR for Acronis, and BDR for AppAssure (Dell Rapid Recovery). eFolder Replibit is generally available to MSPs partners worldwide on June 1, 2016.
eFolder is a leading supplier of cloud business continuity, cloud file sync, and cloud to cloud backup solutions for MSPs, cloud service providers, system integrators, and VARs. Delivered as wholesale services to the channel, eFolder enables its partners to provide branded business continuity, file sync, and cloud to cloud backup services and to generate highly profitable, recurring revenue. eFolder services complement many of the managed service offerings already deployed by partners and integrate with common PSA systems, making adoption of eFolder services fast and easy. eFolder also empowers cost-effective partner and end-user private clouds, allowing partners to meet the needs of any client, regardless of size or readiness to engage in public cloud services. eFolder is a privately held company and is headquartered in Atlanta, GA.